An FCC listing for the “All New HTC One” or HTC One (2014) on AT&T showed up ever-so-briefly last week before being pulled. That listing has now returned, along with a somewhat similar listing that also shows AT&T LTE bands (could be unlocked or T-Mo variant) and another for Verizon. You may recall last year when HTC failed to launch their flagship on Verizon, leaving it as the only major carrier in the U.S. without it for months. I don’t think we’ll see the same misstep this time around. The listing doesn’t give us anything new in terms of specs or features that we don’t already know, but at least confirms LTE bands 4 and 13, plus global roaming. The battery and chipset information haven’t been made public just yet, nor do we have the massive photo screw-up that accompanied the Nexus 5 launch. We’ll keep digging for more, though. If there is one takeaway that you should keep an eye on, it’s the model number. Verizon and HTC have given the One 2014 on big red a model number of HTC6525LVW. 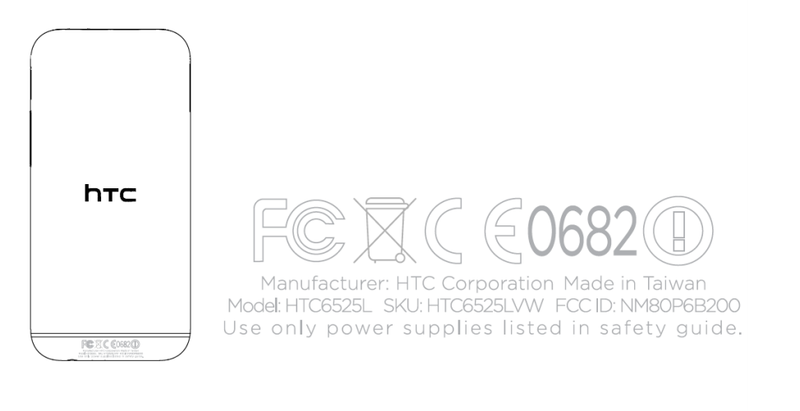 In case you were wondering, the original One from last year dropped as model number HTC6500LVW. Going for 6500 to 6525 seems like a natural progression, right?